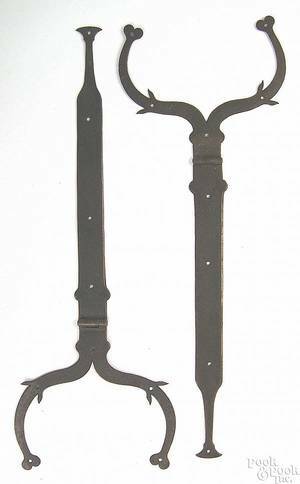 Two Pennsylvania wrought iron flesh forks, ca. 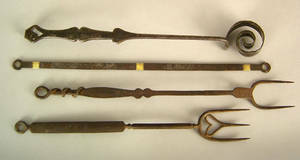 1800 , one with heart shaped tine, 17 1/2" l., the other with rope twist handle, 19 1/2" l., together with a pastry cutter with pierced heart handle, 18" l., and a brass inlaid hanger. 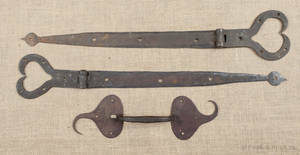 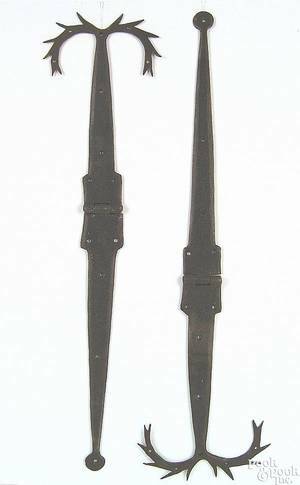 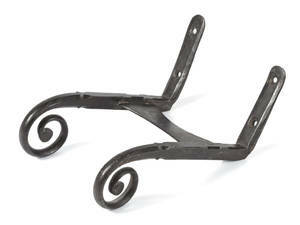 Two Pennsylvania wrought iron flesh forks, 18th/19th c.